Smart speakers have been a hit in the market nowadays. More and more companies have entered this battlefield. Among them, Amazon, Google, Apple are the top 3 brands. Most smart speakers such as Google Home, Echo, Sonos come with the integration of different streaming music service such as Amazon music, Spotify, Google Play music, YouTube, SondCloud, Tidal. But Apple's HomePod seems to be an exception. It is mainly limited for Apple's ecosystem. Because of this, Spotify has been complaining about Apple's unfair competition strategy for a long time. So will Apple HomePod work with Spotify, which is the most popular streaming service in the world? This is a frequently asked questions from subscribers of Spotify. Let's explore the answers below. 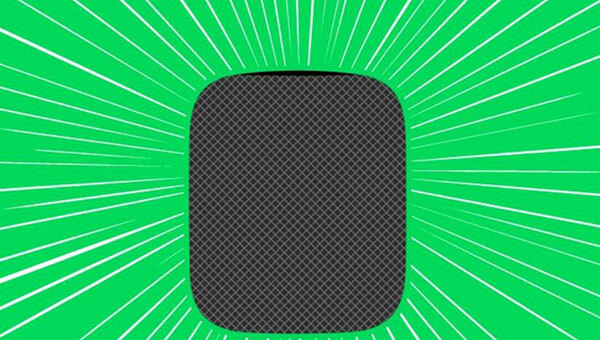 HomePod is a Hifi smart speaker developed by Apple for its Apple Music, iTunes library, iCloud songs. It comes late compared to Amazon Echo, Google Home. Yet it still has the advantage that it supports Apple devices, AirPlay and Siri perfectly. Although there is few third party music apps, you can interact with Siri to play different kinds of music you want easily. Step 1. Make sure your HomePod and iPhone are connected to the same Wifi network. Step 2. Open Spotify app on your iPhone and play a track you want. Step 3. On the playback screen window, tap "Devices Available" > "More Devices". Or you can open the iPhone Control Center > 3D touch the music widget > Tap "AirPlay" icon. Step 4. Tap the "HomePod" icon, the Spotify will be will be played directly on HomePod through the AirPlay. 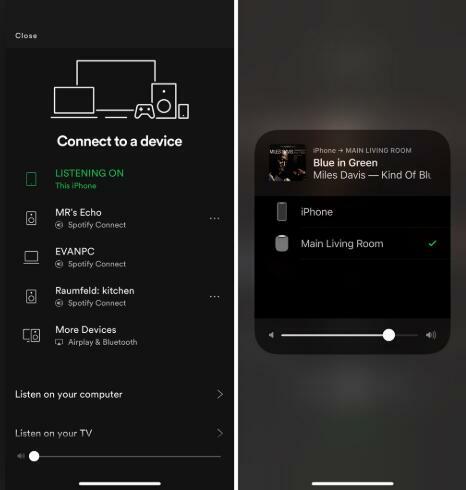 Besides iOS devices, you can also stream Spotify to HomePod with other devices with AirPlay such as some models of HTC phones and the Mac computers. For Mac computers, you can't use the AirPlay option directly because from the menu bar it only lists Apple TVs. But you don't need to worry though. Just go to the system preferences on your Mac, then you can choose "Sound" and set your HomePod as the default device for sound output. 1. Hey Siri, turn the volume up. 2. Hey Siri, Pause this song. 3. Hey Siri, turn the volume down. 4. Hey Siri, resume the song. "I have tried to use Spotify with HomePod, it is super clunky and frustrating. Is there a way to enjoy Spotify music directly?" HomePod is a very expensive speaker which costs about $348 as of the time of writing. No wonder so many customers with other third-party music service subscriptions feel frustrated about it. Will Apple add Spotify app to HomePod in the near future? Unfortunately we didn't see any signs yet. But please don't be concerned. 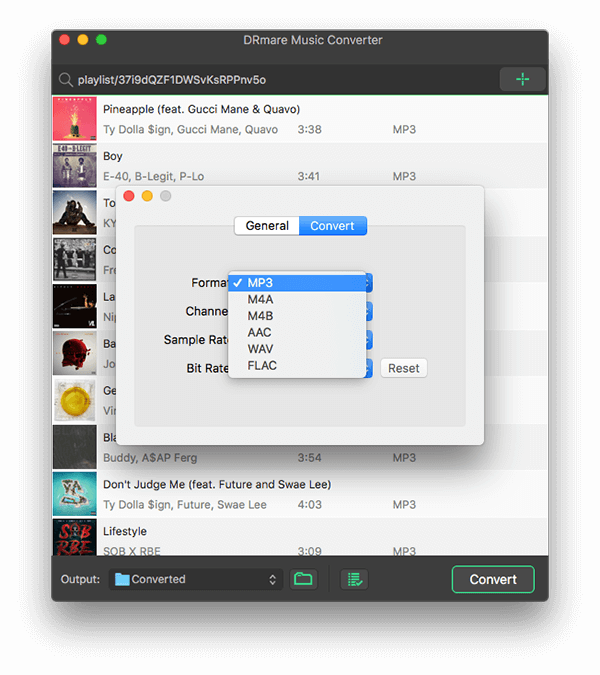 Why not try to add your Spotify music to iCloud Music Library directly? 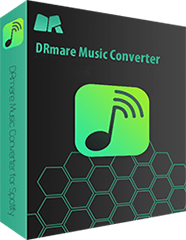 To do that, you just need to download the Spotify music as common MP3 files by a high quality tool DRmare Spotify Music Converter for Mac. It is a no-brainer option for users who enjoy Spotify songs. Compared to other tools in the market, it has a better looking interface and faster speed. Regarding to the output quality, it uses the most advanced standalone virtual soundcard which can capture sound before it is played on your computer, so it is also best too. As a shareware, it costs $29.95 which is not low for some users. But considering that it offers lifetime free update and technical support. It is worth to get it. By downloading songs, you can enjoy Spotify music without Premium which will save you a lot of more money in return. Can't wait to find out how it works? Just click the download button below. The software looks very simple, but don't let its appearance to fool you. It actually has a lot of powerful features. Double click "DRmare" shortcut on the desktop. It will launch quickly together with the Spotify app. Then please simply locate your songs or playlist and drag & drop them to the DRmare main screen. In theory, you can choose any formats from the list. 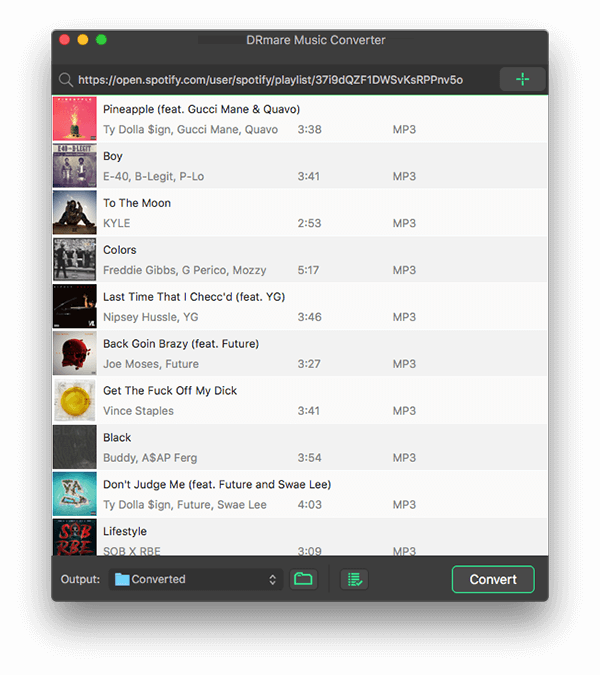 iCloud Music Library supports all kinds of formats. For the songs encoded in ALAC, WAV, AIFF, they will be transcoded into AAC 256Kbps files during uploading. For other formats, they will be uploaded directly. Now please tap the "Convert" button from the bottom right, your Spotify OGG songs will be downloaded to new common songs which are ready for use anywhere. In order to play the converted Spotify songs on your HomePod directly, you need to upload them to iCloud library. Please just open iTunes > click "File" > click "Add File to library" to browse your file to import your music to iTunes first. 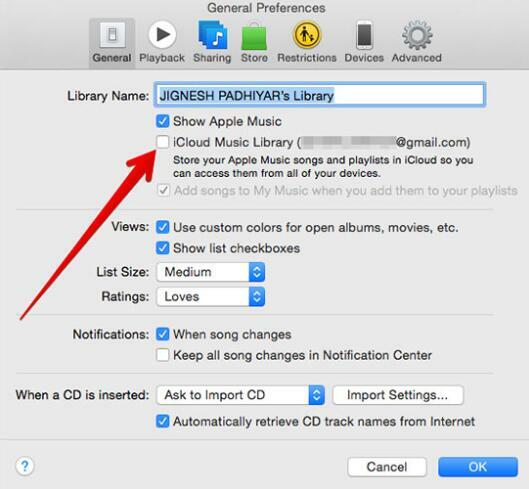 Next, you can go to the preferences window of iTunes and turn on iCloud Music Library. If you have iOS devices, obviously you should go for the first way to AirPlay Spotify to HomePod directly. On the other hand, if you don't have a device with AirPlay feature, the best alternative solution is to upload your Spotify songs to iCloud Music Library. 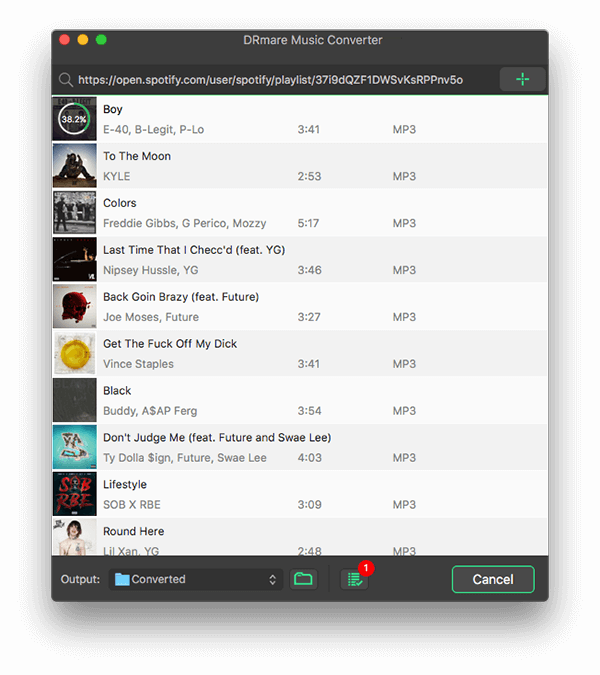 This will require you to use a third party tool to crack Spotify songs first. Besides these two ways, do you know other options to enjoy Spotify music? If yes, please don't hesitate to share them with us below.